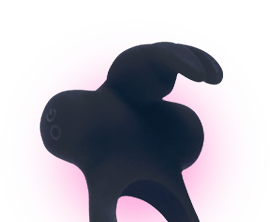 The Frisky Bunny has 5 hopping, ear twitching, body shaking, toe curling vibration modes, enabling you to unlock all your sexual desires. All our bunnies get their silky smooth texture from the DNA of medical grade silicone, delivering you a sensation like no other. To make things handy, our team of bunny engineers has included a portable USB charger so you can charge your bunny anywhere, any time. So charge ahead and let you bunny loose in the wild!